Entries are open for Adelaide Fringe’s 2020 Poster Design Contest. In 2020 Adelaide Fringe is 60 years young and has grown to become the Southern Hemisphere’s largest open access arts festival. 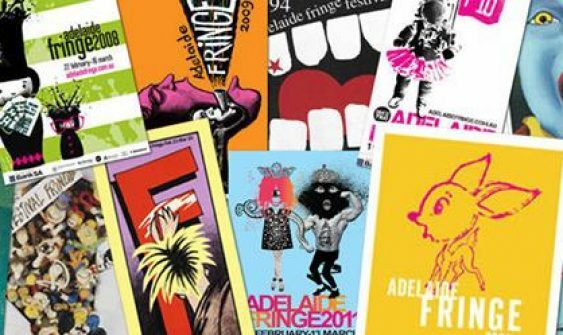 The Adelaide Fringe is looking for an iconic poster design that is full of memories and celebration to mark this enormous milestone. The search is on for a poster that captures the colourful, playful, inclusive and cheeky spirit of the Adelaide Fringe. Whether you are an accomplished artist or a beginner with a great idea, The Adelaide Fringe wants to see all interpretations as “Adelaide Fringe jumps into 60 years of history”. Not only will the winning image receive massive exposure by becoming the symbol of Adelaide Fringe 2020, but the winning artist will also receive a $2,000 cash prize and free artist registration to present their own exhibition as part of the 2020 Adelaide Fringe. Visit the Adelaide Fringe’s webpage to view the full brief, some hot tips and submit your entry. Entries must be received by 5pm ACST, Monday, 10 May 2019.